CHILDWISE is a leading specialist in research with children and young people. On Safer Internet Day, Parenting for a Digital Future released the first in a series of reports from their nationally representative survey of UK parents of children aged 0-17, carried out by CHILDWISE. The fourth report focuses on inequalities in how parents support their children’s development with digital technologies. Our latest Monitor Report is now available, examining children and young people's media consumption, purchasing habits, and social issues. Around 2000 children aged 5-16 in schools across the UK take part in the survey, answering questions on topics as varied as their favourite apps, what they spend money on, sports they play, and their views on education and employment. Read about the report in articles on the BBC, ITV and Kidscreen. 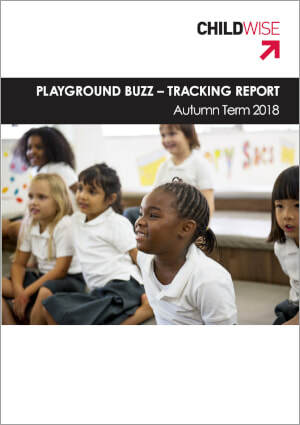 Our latest Playground Buzz tracking report, examines the most recently talked about and favourite brands among children in the UK, providing data on which brands are gaining and falling in popularity. Around 1000 children aged 7-16 in schools across the UK contribute each school term by completing our survey. The report is designed to give insight into the behaviours and attitudes of young people across age and gender, to aid segmentation of the youth market. The first of our new What Kids Think About... reports is now available. These reports ​are designed to shine a spotlight on what children have to say about a variety of topics, with a new theme selected for each issue. The themes chosen tap into hot-button issues concerning children and young people and/or largely derive from, and expand upon, our current research . 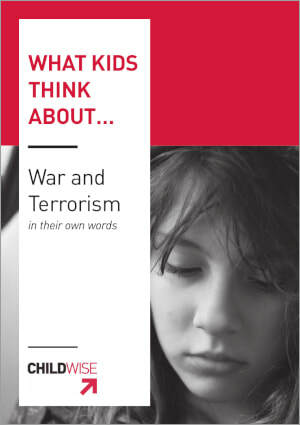 The first report focuses on children's personal, local and global concerns about war and terrorism. 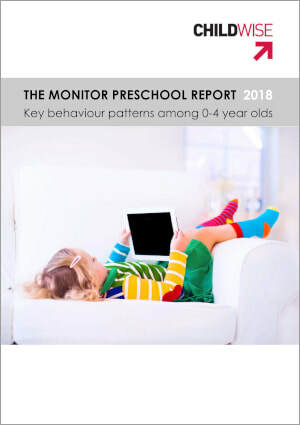 Our latest Pre-School Report 2018 is now available. Find out more about how the youngest children behave, what they are into and how their skills develop. By the time children reach the age of 5, many attitudes and behaviour patterns are already established. This report looks at media use and wider experience among pre-school children, as reported by parents. The latest wave of Girlguiding's - Girls' Attitudes Survey 2018, the largest survey of its kind into the lives of girls and young women in the UK, is now available. The survey, now in its tenth year, is carried out by CHILDWISE, who consulted almost 2000 girls and young women aged 7 to 21 across the UK. Changing Faces celebrated their second Face Equality Day recently, with the launch of new research carried out by CHILDWISE, which reveals that less than a third of young people would be friends with someone with a visible difference, such as a mark or scar. The report, ‘Looking Different’, includes a CHILDWISE survey of 1500 young people across the UK aged 7-17 years, plus in-depth interviews with children with a visible difference. 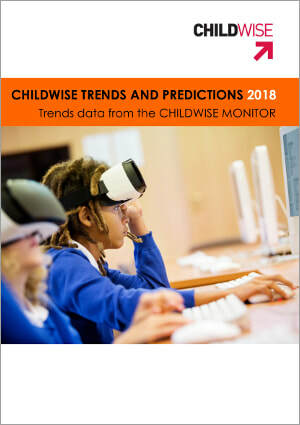 Our new Trends and Predictions Report details trends in media use and purchasing behaviour amongst 5 to 16 year olds over the last ten years, using data drawn from the annual Monitor Report, and uses this wealth of data to make predictions about future measurements. Our Portraits of Youth are now available - these eight pen portraits cover girls and boys across the age range (pre-schoolers aged 0-4, pre-tweens aged 5-8, tweens aged 9-12 and teens aged 13-16), compiled using data from our Pre-School, Monitor, and Playground Buzz reports. Designed to give an overview of likes and behaviour by gender and age, our Portraits of Youth provide an ideal introductory reference on children today.